Did you know we have an outlet store in Boise? That’s right. It’s a bargain hunter’s paradise. Everything you didn’t know you needed, all in one place. If you thought thrift store shopping was fun, outlet thrift store shopping is exhilarating. One way we chose to honor our founder, Reverend James Crowe and his wife, Ruby Carey Crowe, was to dedicate space in several stores to showcase unique and antique donations. Idaho Youth Ranch thrift stores are all about reducing, reusing, and recycling—that’s the essence of the thrift store business model. And what makes it all work? YOU, our awesome donors and customers. All over the state, generous Idahoans donate clothes, household items, furniture, and even cars to IYR thrift stores, simplifying their lives and reducing waste. Our customers shop our stores for great deals on that merchandise, reusing those donated items in hundreds of ways. And IYR recycles scrap material we can’t sell in our stores, keeping more than 2,500 tons of material from entering Idaho landfills every year. Education is so critical to future success in life that an early love of learning, especially reading, is one of the biggest advantages a child can have. To make sure as many Idaho kids as possible get that opportunity, the Idaho Youth Ranch launched a new literacy program called “Ranch Readers” through its thrift stores in February 2013. The response has been tremendous--parents, teachers, store staff, and especially kids across the state are enthusiastically on board. The Idaho Youth Ranch would like to say thank you to the Idaho Statesman and all of the wonderful Treasure Valley residents who voted us the “best thrift store” in the Treasure Valley for 2014! You're helping Idaho's at-risk kids find promising futures, every time you shop, donate, or volunteer at one of our stores. We are working hard to be Idaho's favorite place for fashionable, affordable clothing and your vote encourages us to work even harder. Saturday May 17th is the Grand Reopening Celebration at our thrift store on Orchard Street in Boise. Check out the largest IYR store in the Treasure Valley! Completely remodeled with twice the selection--especially featuring summer duds and swimwear just in time for those long, sunny days. Doors open at 9:00 am. On February 4, we asked our thrift store customers a simple question on our Facebook page, and boy did they have answers. 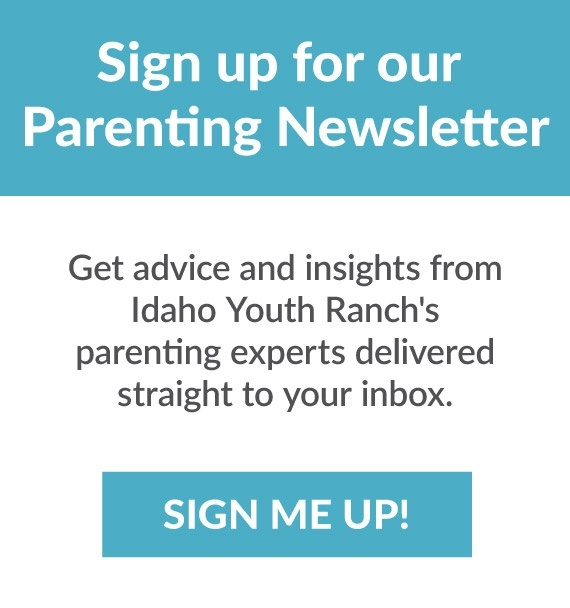 "Just tell us what your best deal, find, treasure, or score (or whatever you call it) is at an Idaho Youth Ranch thrift store."